A reflector with light for my narrow-gauge locomotives. The diameter of the reflector is 4 mm. The LED is 0.5 x 1 mm! The reflector is made out of aluminum from oven trays. I took a nut of the right diameter and slowly pushed the aluminum with the rounded top of the hat from a ballpoint pen. Then I rough cut the edges and filed it to shape with a needle file. I then drilled a 0.8 mm hole in the center of the reflector. I glued the LED to the backside of the reflector with epoxy. The LED is a bit too white, so it'll get a drop of Tamiya transparent orange. 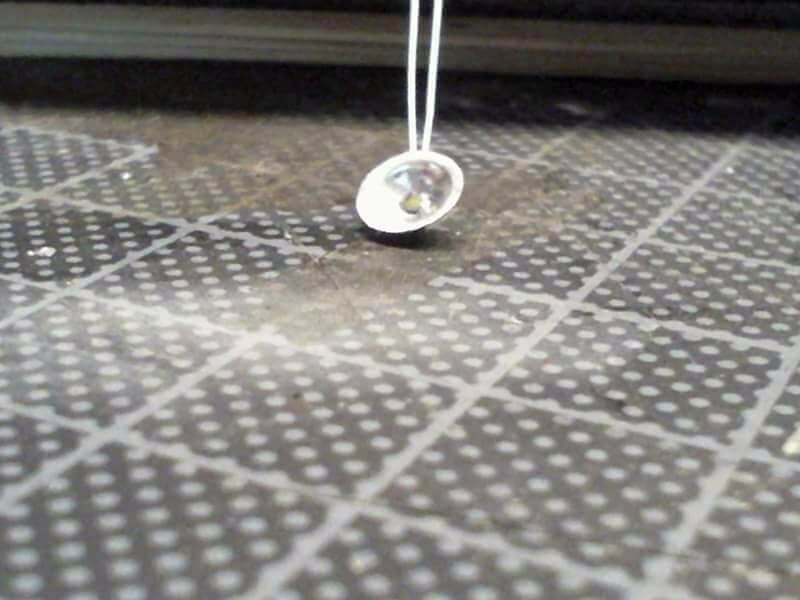 Then I'll take Microscale Crystal Clear and fill the reflector so it gets a lens. Thanks all, I bought the LEDs on eBay. Search for 0402 LED with microlitz wire. Nice job! Looks very fiddly, I think I'd have trouble doing that with my eyes the way they are... or at least I'd have a headache after doing it! What I've done in the past is to sand the reflective material off the back of an MV Lenses lens, and then attach the surface-mount LED to the back with UV curing resin. Then I set the lens in the headlight mount with more UV resin (Bondic or similar). Very good Michael. Light it up!! Nice. Do you wire the LEDs, or buy them with leads attached? Nice going Michael, also great ideas for making the headlight!